We hope everyone had a lovely summer break. School re-opens for all pupils at 8.50 am on Friday, August 31st. 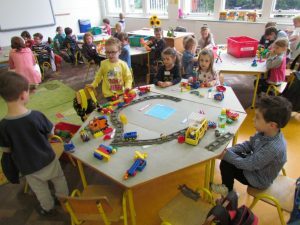 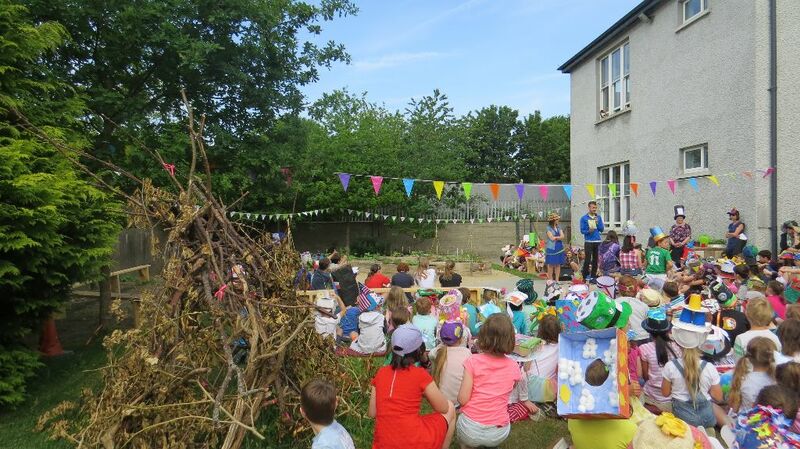 The school day will finish at 12.10 pm for Junior Infants until September 7th. 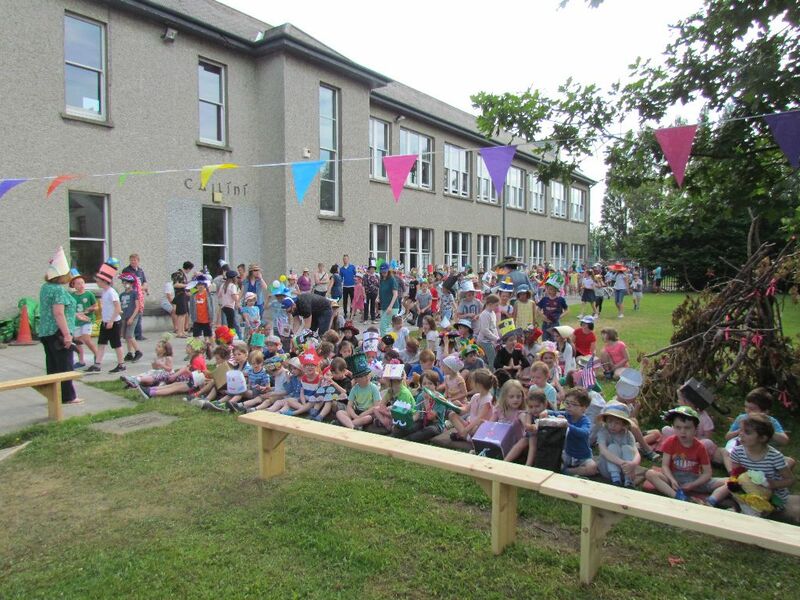 Junior Infants will finish school at 1.30 pm from September 10th. 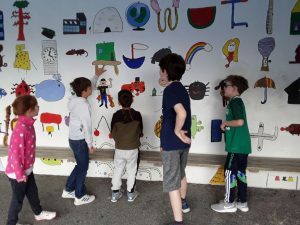 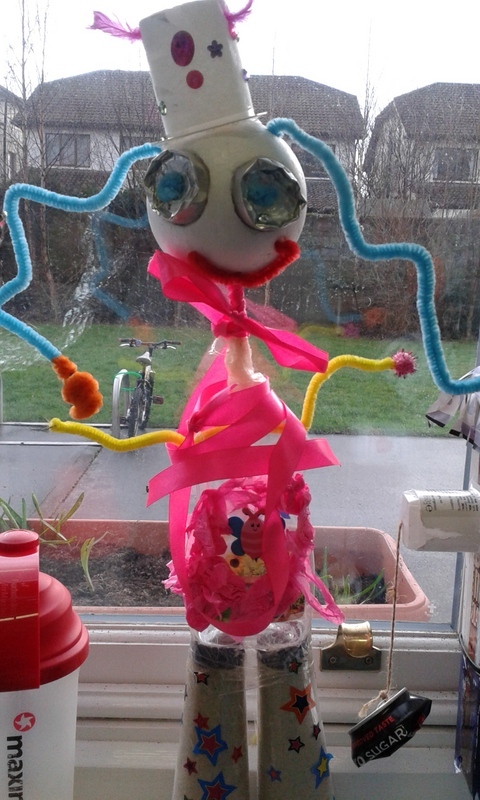 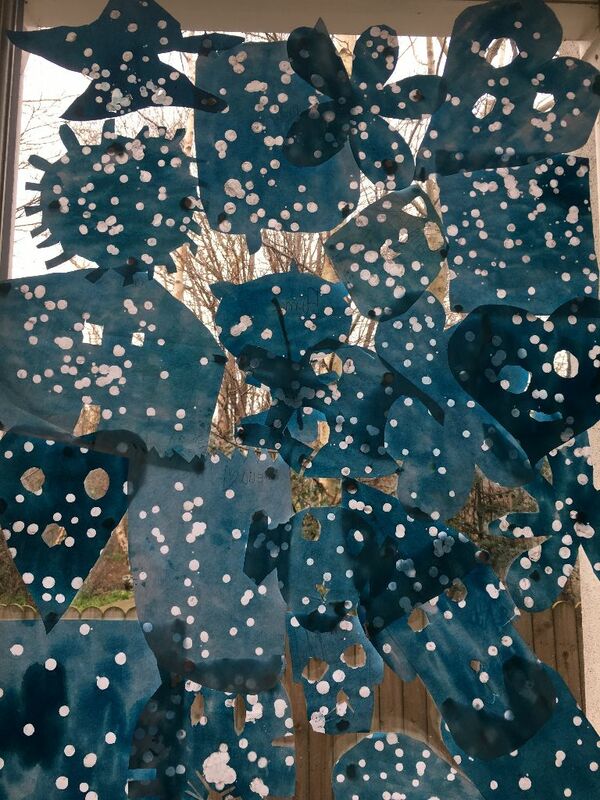 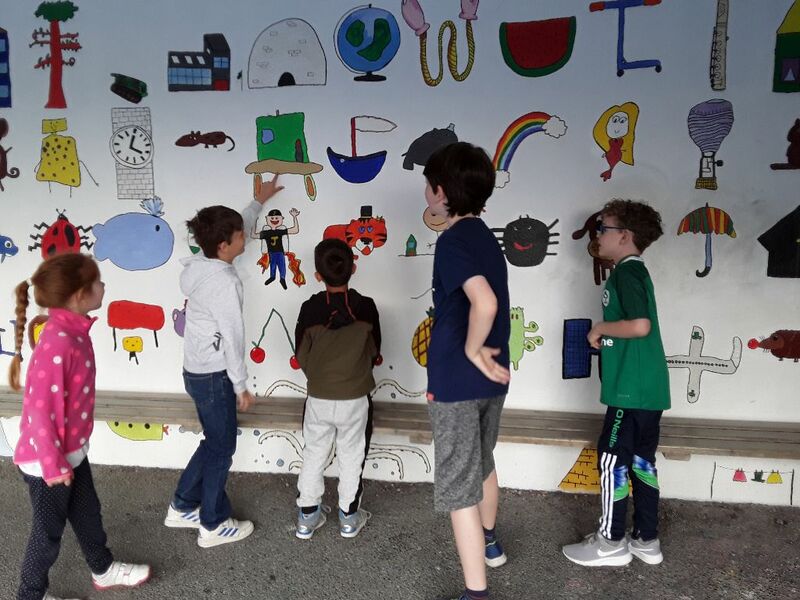 We are delighted to announce that Rathfarnham Educate Together is one of 150 schools nationwide to have been awarded the opportunity to engage with Scoileanna Ildánacha/Creative Schools initiative, an initiative which aims to ‘put the arts and creativity at the heart of children and young people’s lives’. 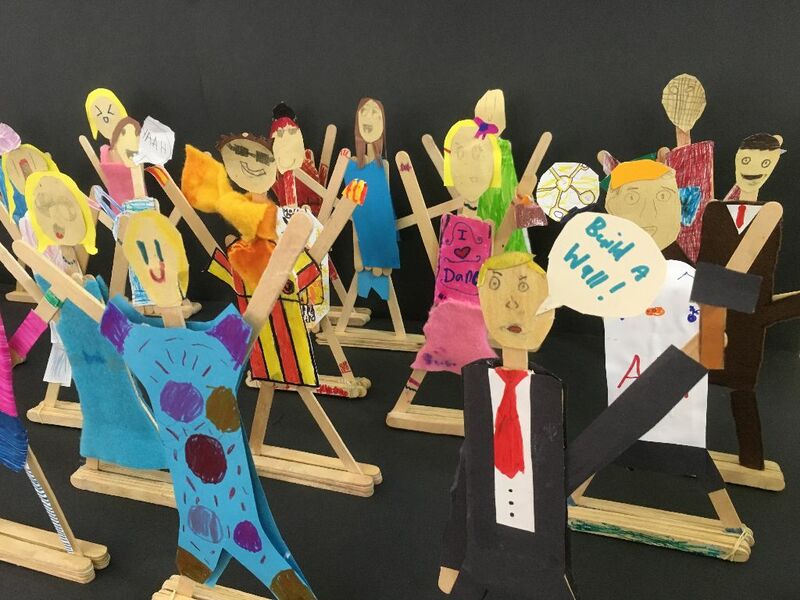 The Arts Council received applications from close to 400 schools from across the country to participate in Creative Schools from September 2018. 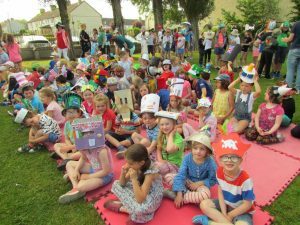 We are delighted to announce that RETNS was one of the successful applicants and participation in this exciting initiative will be a whole school community endeavour. Well done to our members of staff who devoted their considerable expertise and a lot of time into preparing the proposal for application. 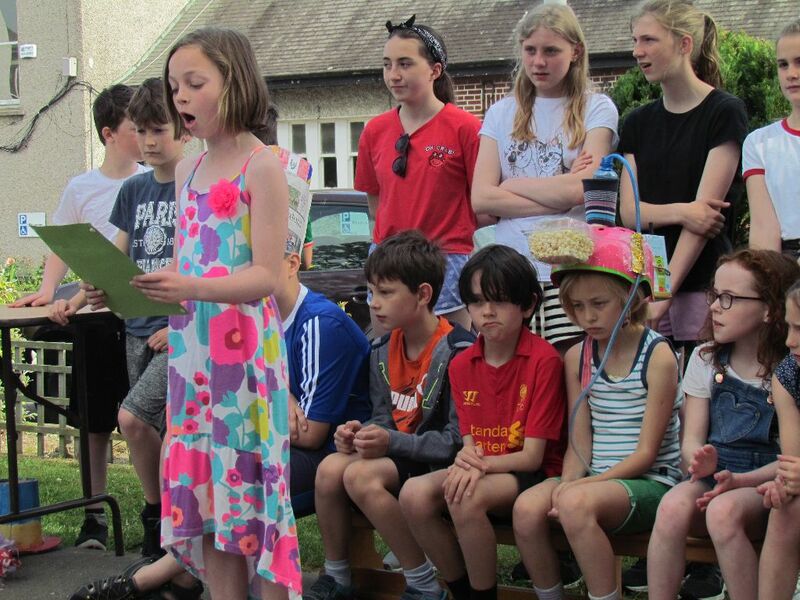 The success of the application brings with it €2,000 to spend on arts education in the school. 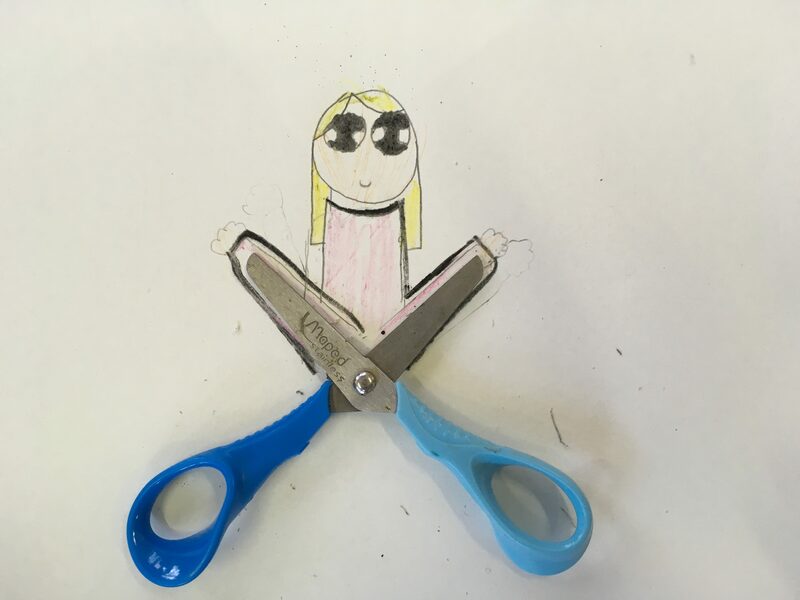 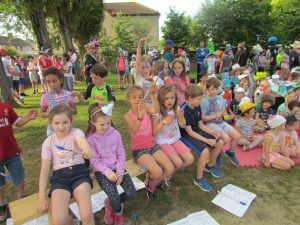 Beginning in September, the school will be assigned a ‘creative associate’ who will work with staff in progressing ideas and bringing the project together. We all look forward to exciting times ahead in this initiative! 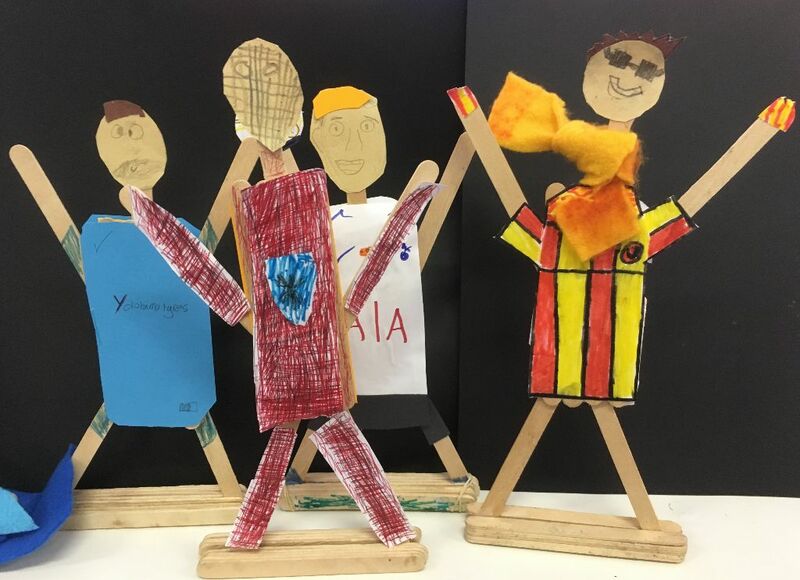 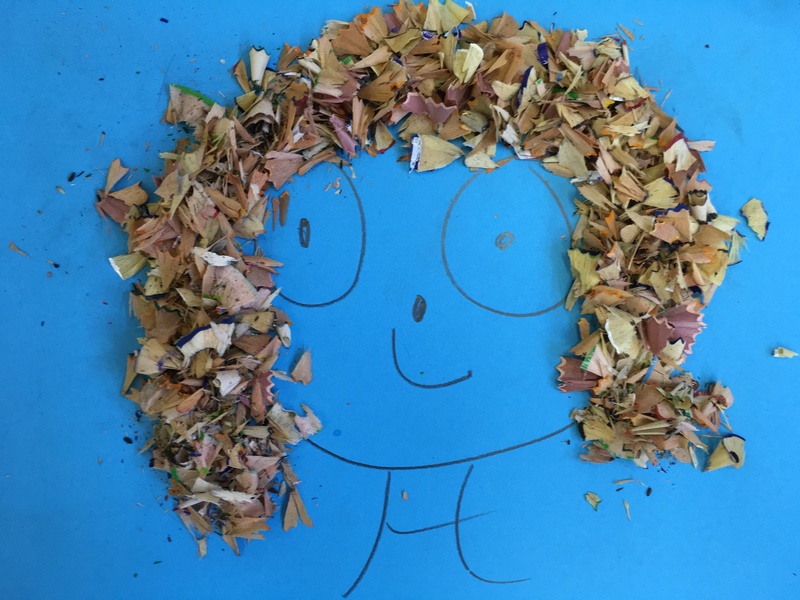 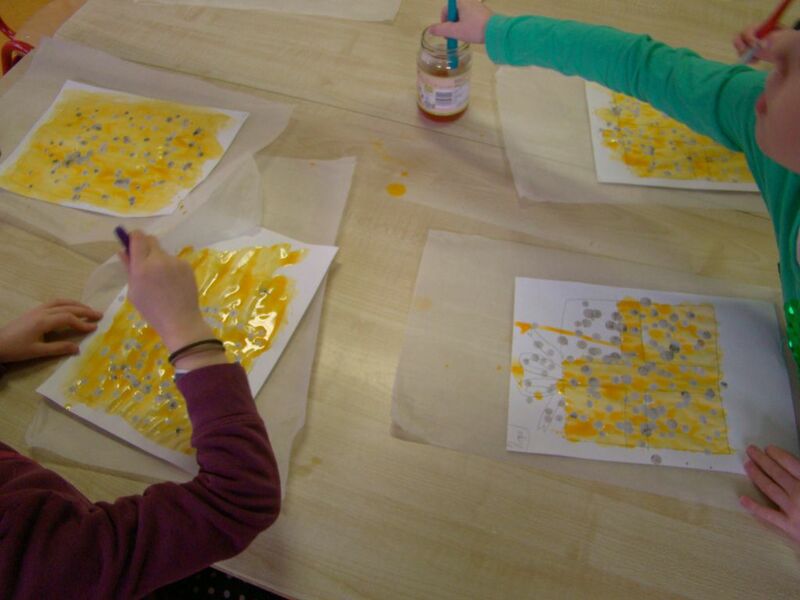 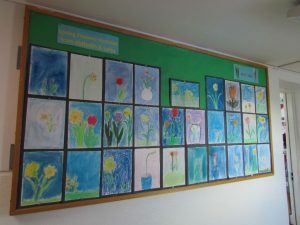 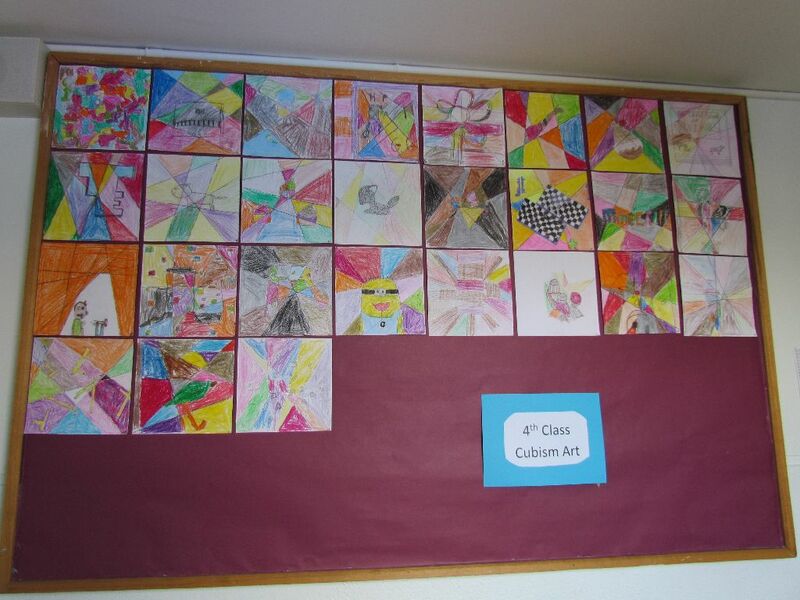 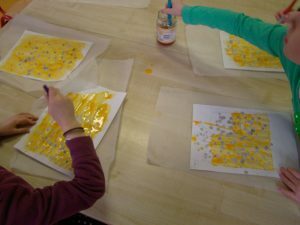 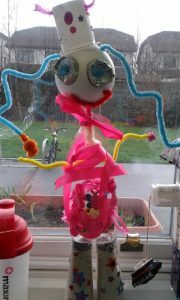 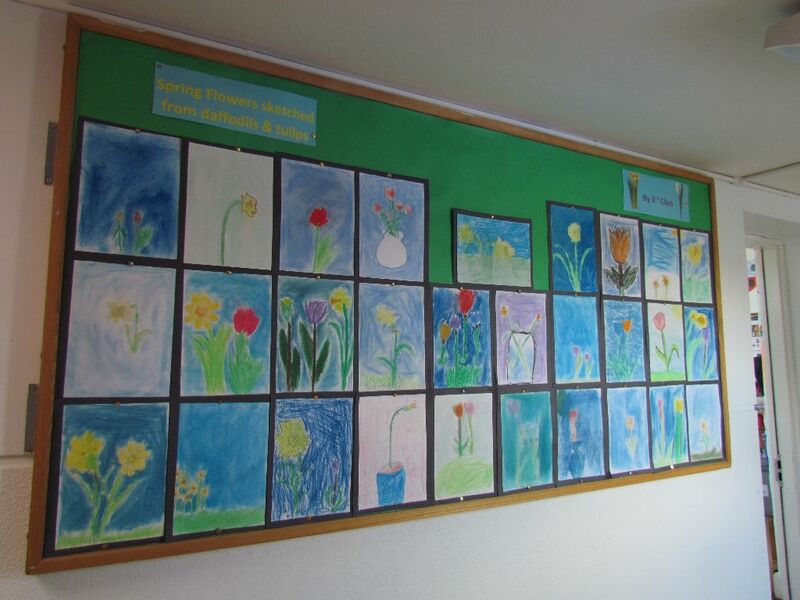 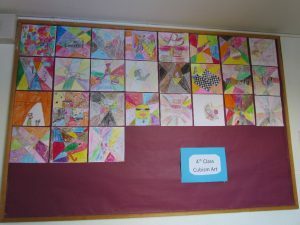 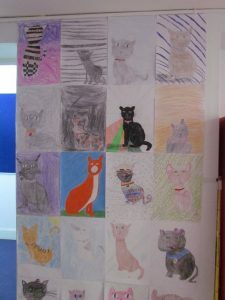 Art is already a major part of our school curriculum, both as a stand-alone subject and as part of cross-curricular work. Children and staff will enjoy developing this area as part of the Creative Schools initiative. 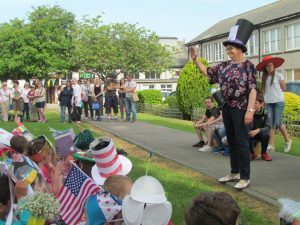 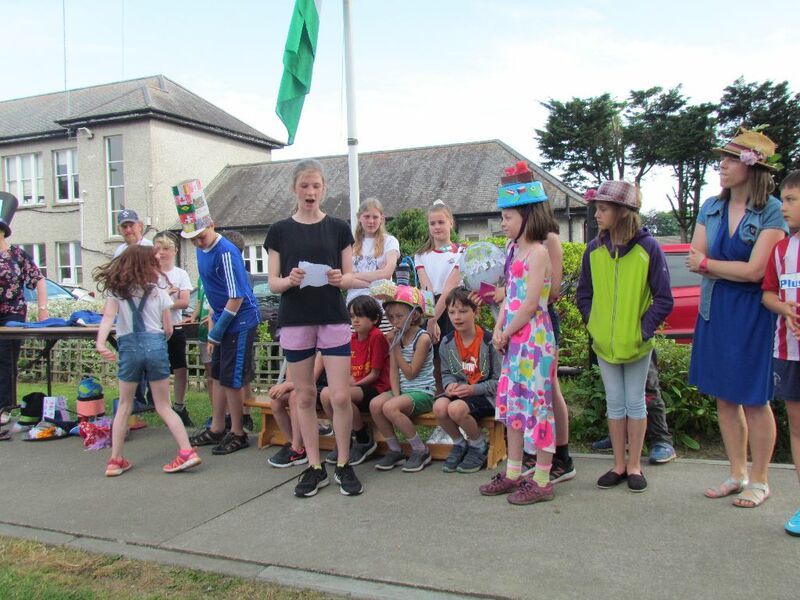 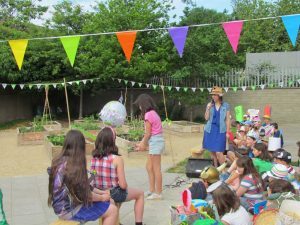 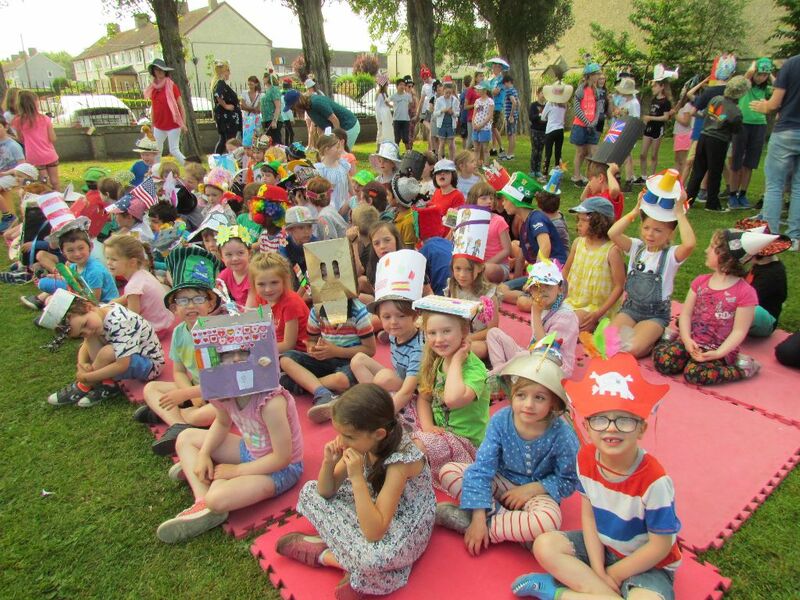 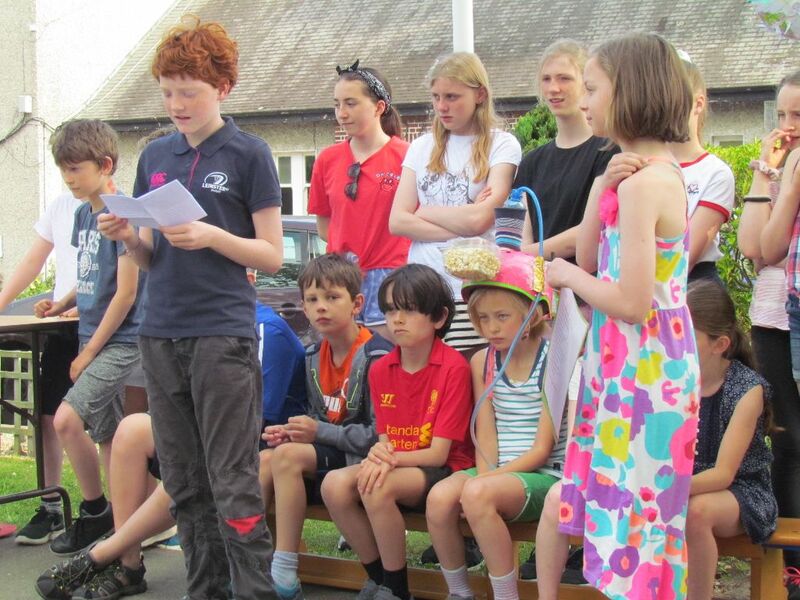 Today we held our Green Schools Action Day which included the raising of the Green Flag, opening of our new Community Veg Garden, launch of our Active Schools Walkway and of course our Mad Hatters Picnic lunch. 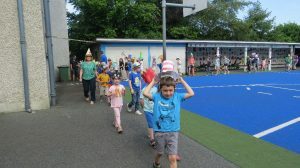 Here are some images of our day. We are all excited about our Green Schools Action Day which takes place tomorrow. This is our celebration of our work towards, and achievement of, our sixth Green Flag for Global Citizenship – Litter and Waste. We would love if as many parents, guardians, grandparents as possible could join us for the official part of the day which begins at 9.15 am with the Flag Raising Ceremony. 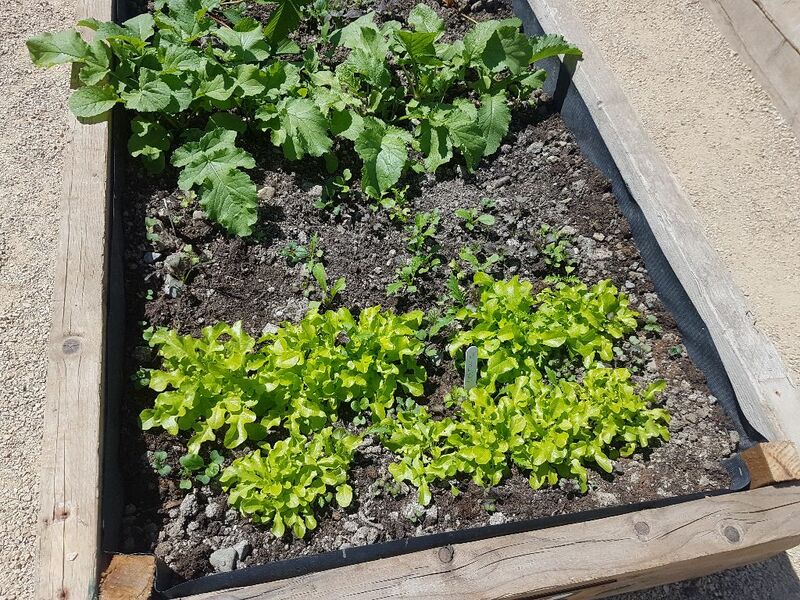 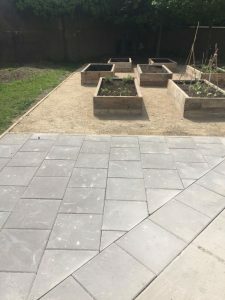 When the Green Flag has been carefully unfolded and raised by the Green Team we will proceed to the new Community Veg Garden at the side of the school. 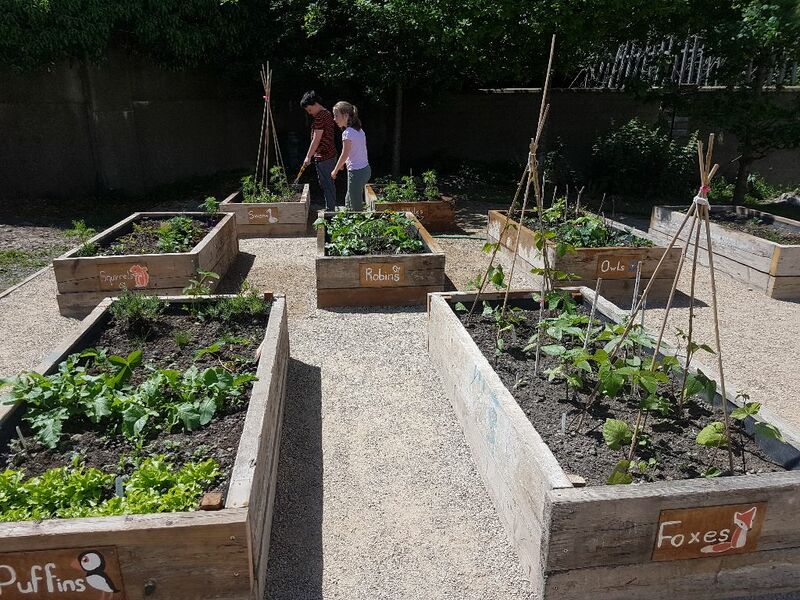 This garden has been planned for some time and has now (literally!) 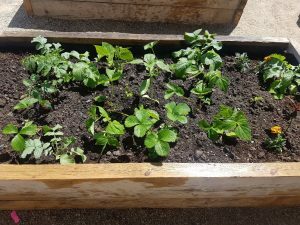 come to fruition. Its secret is its simplicity. All members of the school community were invited to take part in creating the garden and we had lots of volunteer parents, grandparents, staff, staff family members and children, who each played their part in creating a beautiful space which will hopefully be used in lots of creative ways for many years to come. 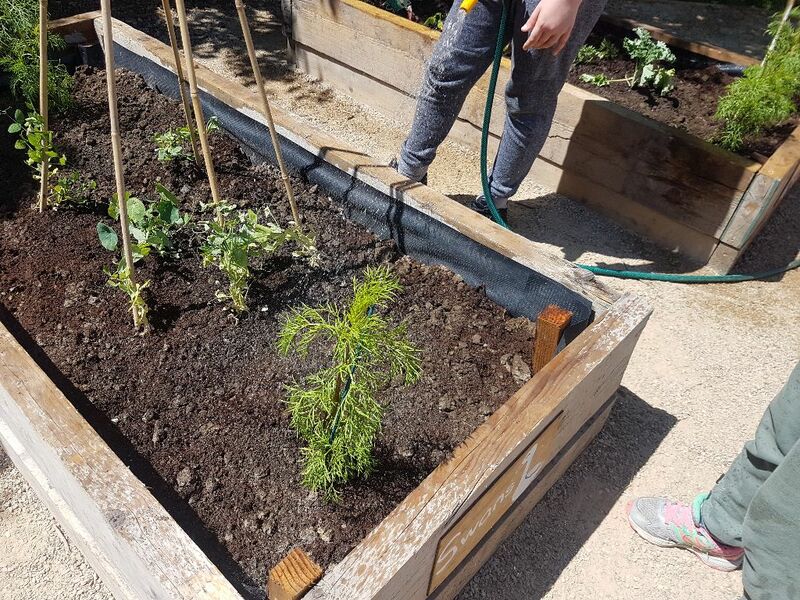 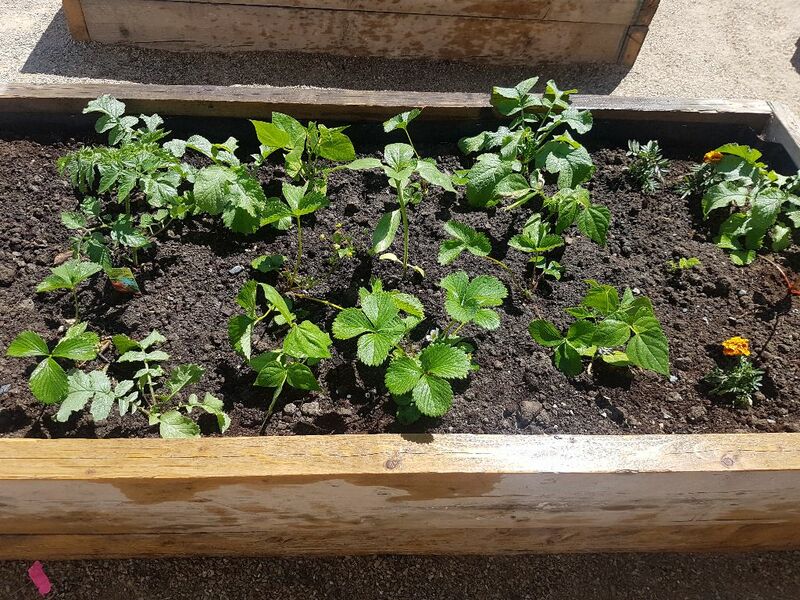 At the moment all classes have had an opportunity to plant various vegetables and fruit and we look forward to a bumper harvest! 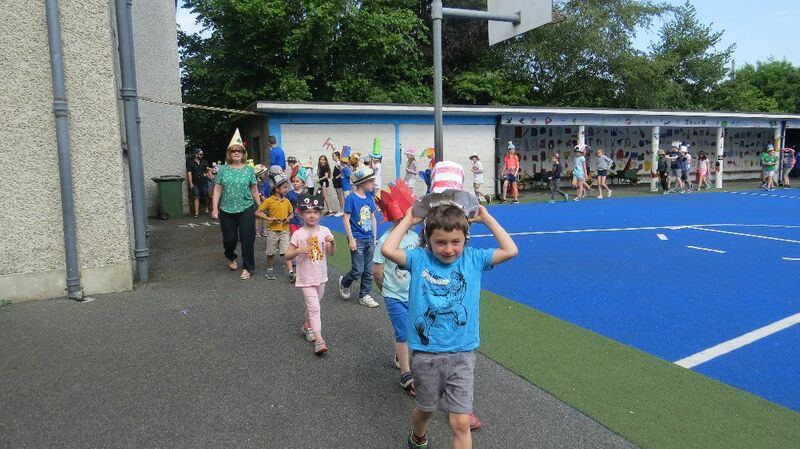 For the children we will have our Mad Hatter’s Picnic at lunchtime and we will also launch our new Active Schools Walkway, which is a new walkway marked out around the school which will be used for numerous activities in the future. 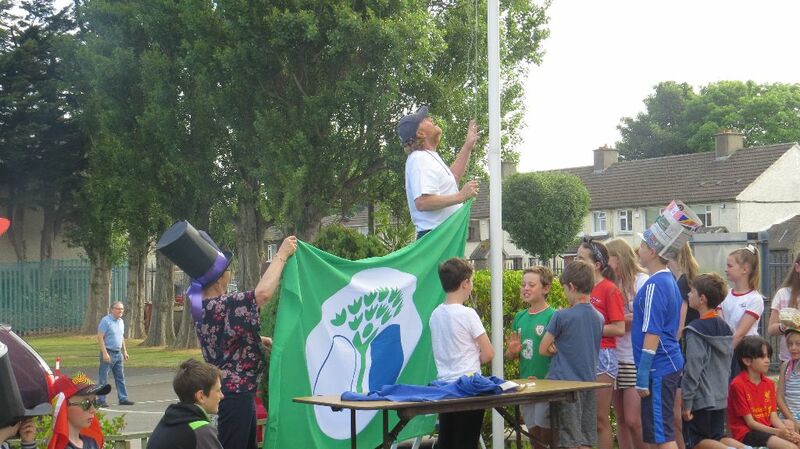 Thanks to Dennis for putting up the active walkway signs and for his lesson in flag folding, a skill which he is delighted to impart to the children. 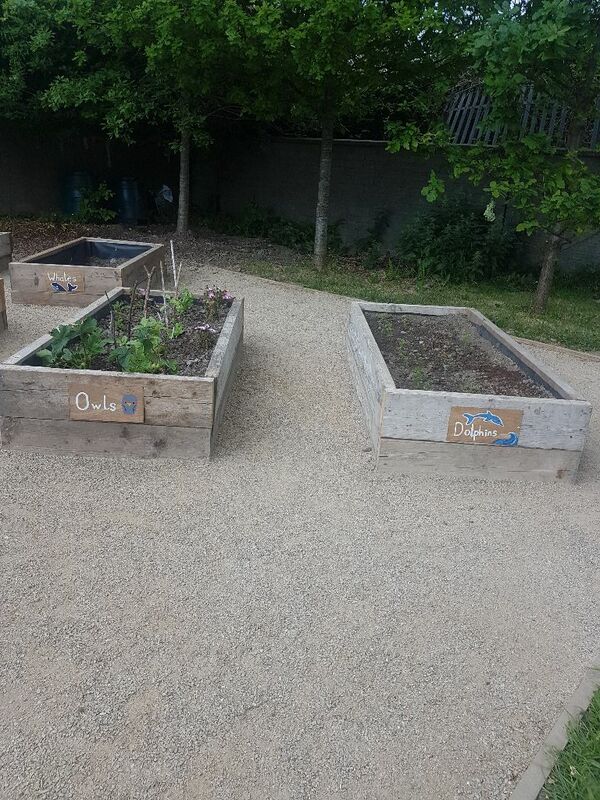 Great work has been done on the veg garden over the last two weeks and the children have been able to start planting. 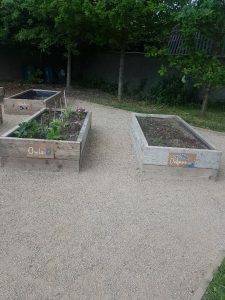 Last weekend we had a kind volunteer who did the paving, and this has given the whole garden a new look. 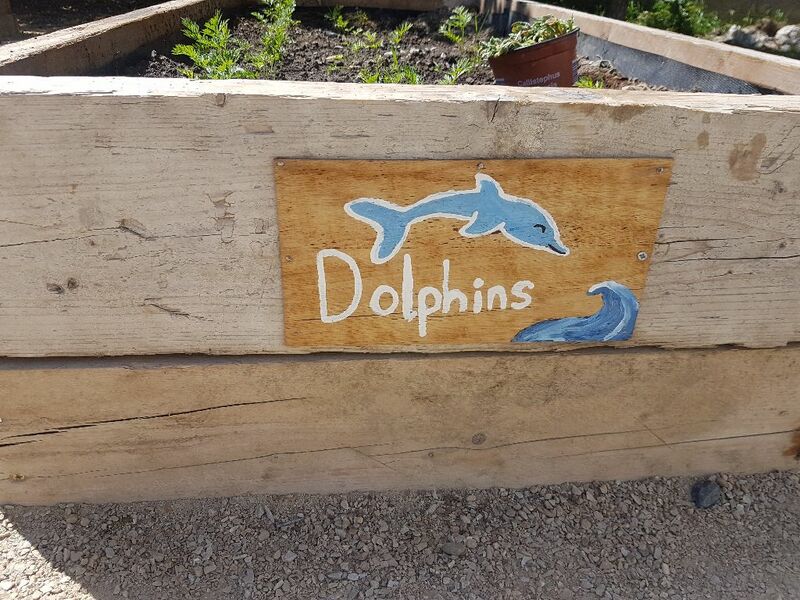 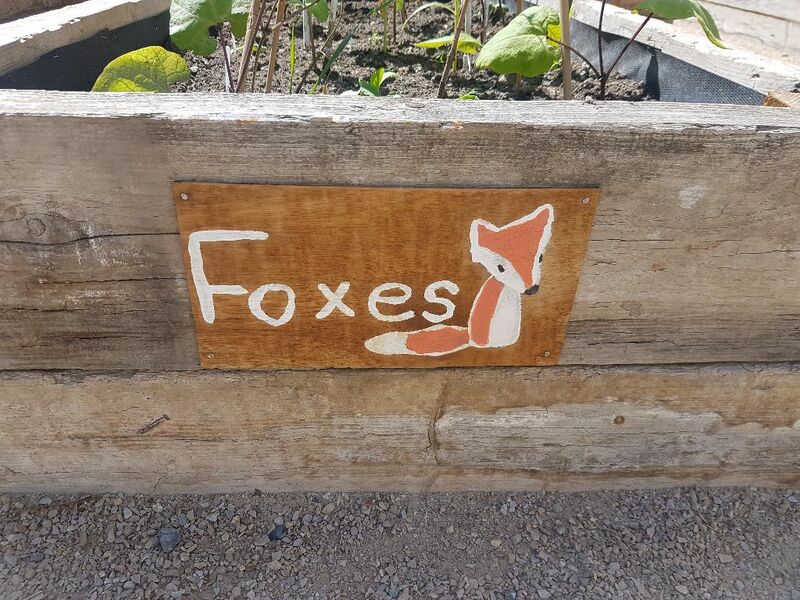 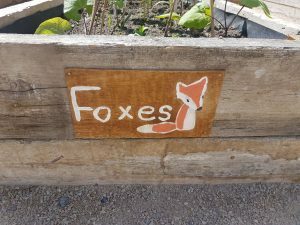 The children have painted beautiful signs showing the class names on each bed and have been choosing vegetables and fruit for planting. 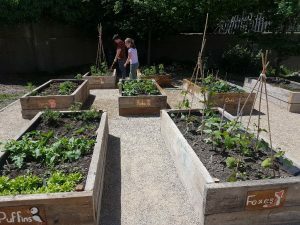 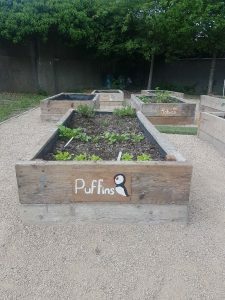 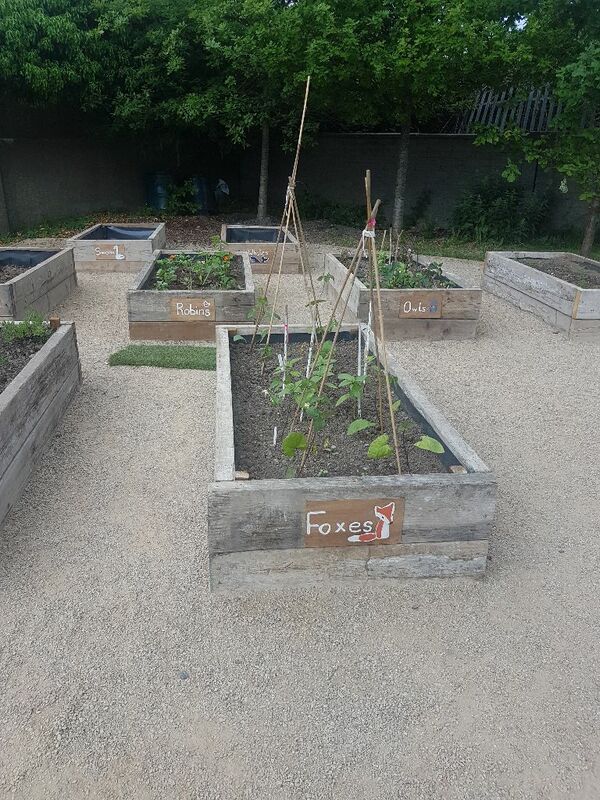 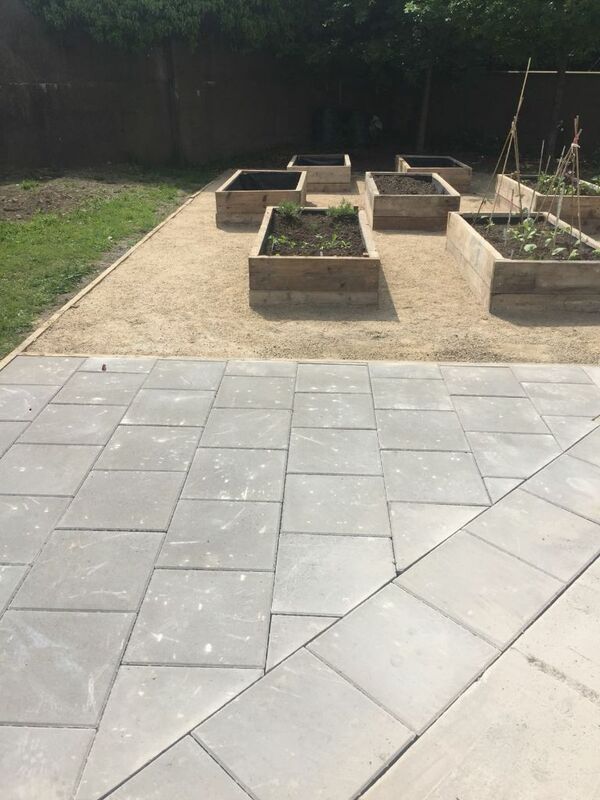 Thanks to all staff, parents, grandparents and children who have worked so hard to build such a lovely community garden, and to all who made donations of time, equipment and plants, which were all much appreciated. 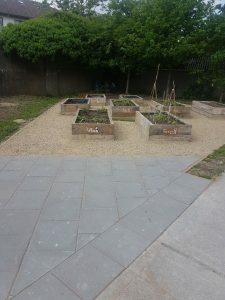 The veg garden will be officially opened on Friday June 8th on our Green Schools Action Day.